The Rode NT1 is the latest in a long line of superb yet affordable microphones from this well-respected Aussie brand. 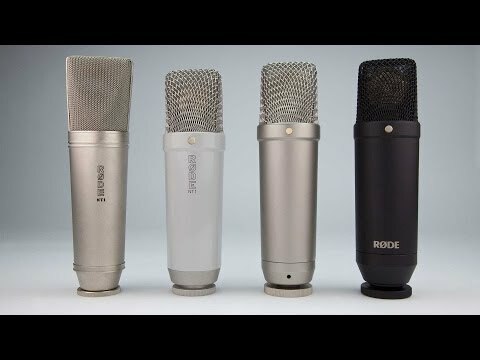 Rode was among the first manufacturers to provide truly great condenser microphones at prices that didn’t break the bank. This is achieved via its incredible production facility, just outside Sydney. Packed to the hilt with cutting edge equipment, it allows Rode to design and build incredible microphones with astonishing consistency, and still keep prices low. The NT1 may appear to be based on the NT-1a from the outside, but within, the microphone has been totally redesigned. It maintains a 1” cardioid capsule like the older model, but this is a totally new design, named the HF6. It has been tailored to deliver detailed midrange, with smooth upper frequencies, warm low frequencies, and exceptionally low noise (4.5dBA). This makes it ideal for recording all manner of sound sources, from vocals, to acoustic guitars, to percussion and more. The capsule features an internal suspension mount based on Rycote Lyre shock mount technology. This reduces external vibrations at capsule level. The NT-1 mic body has been machined from 6061 aluminium, and finished with Rode’s famous attention detail; firstly, it is nickel plated (to resist corrosion), then it coated in a military grade ceramic, designed to resist scuffs, scratches and wear. The included SMR shock mount is equally revolutionary. It employs Rycote’s Lyre technology, with a smaller, inner lyre, which is used as a tensioning element (keeping each lyre in neutral position). The shock mount also includes a removable, all metal, washable pop-filter to prevent the jet of air from plosive sounds (‘P’, ‘B’ etc.) from overloading the capsule and ruining the recording. A soft, carry bag is also included. The Rode NT1 is an excellent, versatile condenser microphone that is great ‘first’ condenser microphone, but also a worthy addition to any mic collection. Posted on 01/03/2014 by Dids Very pleasing sound for female vocals - home use with iTracks solo and iPad. Good quality feel to mic and mount.